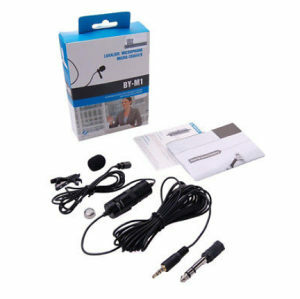 The BY-M1 Clip-On Mic for Smartphones ,DSLR, Camcorders, Audio recorders, PC etc. Superb sound for presentations and video recording. Omni-directional condenser microphone. Low handling noise. Includes lapel clip, foam windscreen, 3.5mm to 6.3mm adapter.